The practice team has had major assessments for BDA Good Practice and Investors in People and more recently was awarded the prestigious CODE Quality Practice Scheme. It was the first practice in Sussex to hold both the Good Practice and Investors in People national quality standards award over 15 years ago and are regularly re assessed. 2002 BDA Good Practice and annually since. 2012 BDA Good Practice Gold Award. 2017 CODE Quality Practice Scheme awarded. 2018 CODE Quality Practice Scheme re-awarded. 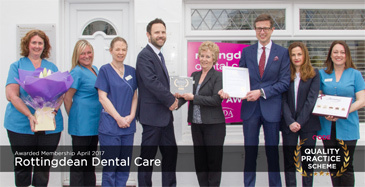 Rottingdean Dental Care has a lot to celebrate, as they are one of the few practices nationally to have been awarded the CODE Quality Practice Scheme. In addition they were re-accredited with Investors in People earlier in the year. Tell us a bit about the CODE Quality Practice Scheme. CODE, Confederation of dental employers, is a professional association. They set very high standards for patient care, safety and satisfaction. They regularly visit the surgery and carry out rigorous inspections to assess that we have a well-led practice and that we always provide ethical care to the best current standards. What other accreditations does the practice hold? 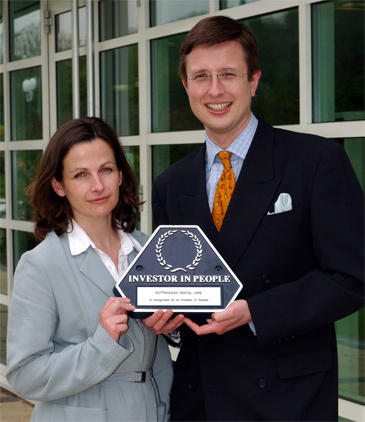 We have been taking part in Investors in People since 2002. 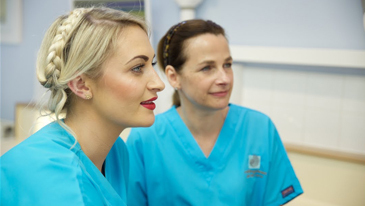 Our recent assessment mentioned that teamwork was key to ensuring patient care remains at the heart of our practice. We are very proud to be the first practice in Sussex to hold both national quality standards BDA Good Practice and Investors in People. 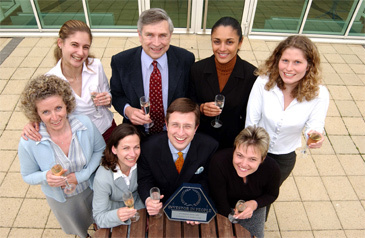 We were subsequently awarded gold membership to the BDA Good Practice Scheme. Why is it important for you to achieve these accreditations? We believe it is important to have different professional organisations visit and independently assess our practice, in addition to the mandatory CQC inspections. This means we are continually improving our standards. Visiting the dentist can be a stressful experience for many, so anything we can do to improve care means a great deal to us and our patients.